Shubh Mangal Saavdhan is a 2017 Comedy and Drama Bollywood movie. Shubh Mangal Saavdhan is directed by R.S. Prasanna. The movie is produced by Krishika Lulla under Aanand L. Rai and Eros International. Ayushmann Khurrana and Bhumi Pednekar have played the Lead Roles in this movie. Brijendra Kala, Anshul Chauhan, Anmol Bajaj, and Seema Bhargava have acted in the supporting roles. The screenplay is done by Hitesh Kewalya, while the Music is directed by Tanishk Vayu. Below in this article, you can find the details about Shubh Mangal Saavdhan Full Movie Download and where to Watch Shubh Mangal Saavdhan Online. Shubh Mangal Saavdhan talks about the major problem found in Indan mean and that is erectile dysfunction. In fact, the movie revolves around Mudit Sharma and Sugandha Joshi and how they fall in love and Mudit’s problem. Shubh Mangal Saavdhan is divided into 3 parts and to know about it keep reading Shubh Mangal Saavdhan story. Mudi is shown as a shy guy, who is madly love with Sugandha. But due to his shy nature, he was never able to express his love. Both Sugandha and Mudi works in the same building and has feelings for each other. Finally, when Mudi calls at Sugandha’s office, she straightforwardly tells Mudi to propose here if he has guts. After hearing Sugandha, Mudi finally comes to a conclusion to send her a friend request at on her social media. Finally, when she accepts his request, the love story begins. After Sugandha and Mudi fall in love, they decide to get married hence, they plan to get themselves hooked in a marriage portal. As a result, they can manage to talk to their parents about marriage. Finally, when everything gets sorted, and their marriage gets fixed, a small problem occurs. When Sugandha’s parents were out of their house, they plan to get physical. During this, they get so excited, but Mudi makes an excuse and goes to the washroom. When Sughanda talks about the reason, Mudi talks with her about his Erectile Dysfunction problem. After knowing Mudi’s problem, Sugandha tries many ways but cannot find a perfect solution. Just a few days before the marriage, she tells Mudi how much she loves him and will be waiting for him. One day, Mudi gets a call from a stranger saying that he knows about his issue. In fact, he tells him that he can help him to get rid of it. Finally, when they decide to meet, Mudi gets to know that the one who is was talking to was no one but his father-in-law. This, in fact, becomes huge that becomes one of the major issues for their marriage. When consulted to the doctor, they say it is just because of stress. Finally a day before the marriage, Mudi and Sughanda tries to intimate again, but couldn’t do it. Mudi realizes the meaning of true love, he fights with his family and father-in-law and marries Sughanda. Shubh Mangal Saavdhan is telecasted on TV multiple times. There is no question arises to watch this movie from Illegal Website. Also, Shubh Mangal Saavdhan Full Movie Download is available on all major Legal website for online stream and download. 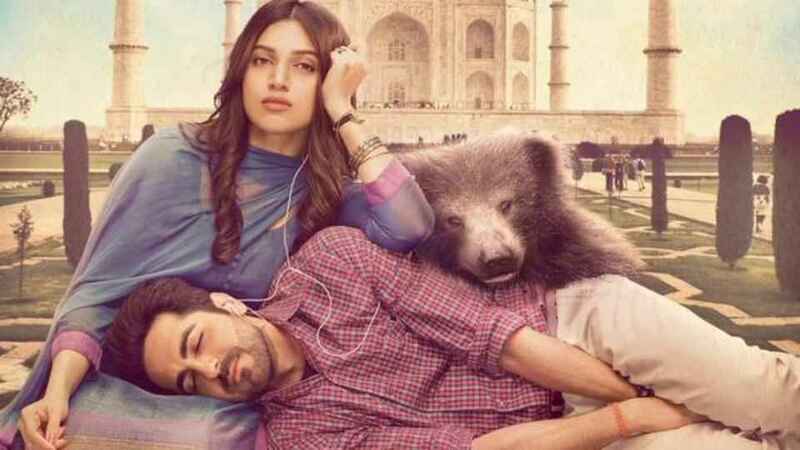 Where To Watch Shubh Mangal Saavdhan Full Movie Online? As of now, it is available on Amazon Prime Video, ZEE5, Jiocinema, and Erosnow. That means you can watch this movie on multiple websites. Also, if you are looking to buy or on rent to watch Shubh Mangal Saavdhan online you can visit the below-mentioned website. As Per Indian Copyright Law, it punishable crime to watch or download the movies from an illegal website. The Production house of Shubh Mangal Saavdhan has not given rights to below-mentioned websites provide online or download the movie. By doing this you are also saving the life of thousands of families.